My very good friend Jamie Geller and her family made aliyah almost a week ago. There has been lots of press surrounding the flight they were on – almost 130 of those on the special Nefesh b’Nefesh chartered flight were young people heading straight to the army. The rest of the 300 or so were families making aliyah with young kids, grandparents joining married children and their kids in Israel, and others who have given in to that strong magnetic pull towards Eretz Yisrael. I scrolled through the photos, tears streaming down my face. Envy flashed across my psyche, briefly. I wanted to be that person descending those steps at Ben Gurion airport. I wanted to have my family waiting there for me with huge Bruchim Habaim signs. I wanted to go HOME. It’s a dream that I have had for so long. I wish I would have made Aliyah at 18 when I was unencumbered, but I was too fixated on finding a husband and having children. After my divorce I briefly considered packing the boys up and jumping on a plane and never looking back. I couldn’t have done that to them – to distance them so far from their father. And, had I done that, I would never have met the KoD. But I want to be there so badly. As I age I feel the pull get stronger and stronger. Next year my oldest will head off to Israel (maybe army, maybe yeshiva), the year after his brother plans to make Aliyah and go straight to the army and never come back to the US. My heart sings for them, and aches for me. One day, Israel, one day soon we will all come home. If it makes you feel better, plenty of people come here with the intention of never leaving and then leave. People change a lot after age 18! P.S. Tell those little chamudis that they can call Uncle Benji if they need anything. Maybe one day you’ll be one of those grandparents who retire to Israel to be near the kids and grandkids. I didn’t make aliya when I I should have either, but now it’s back on the table, once I have the means to earn something there and the kids are launched. Daven for me! Why do you find it so attractive for you sons to go to the Israeli army? Most mothers who have sons in the army in Israel are sick from worrying! Being in the army there without a family to back them up is even worse! Furthermore, in many countries, you lose the nationality if you serve in a foreign army volontarily. did you check that? Yes, most mothers who have sons in the Israeli army (and I am one of them) are worried at times, but we spend a lot more time being damn proud of them. Furthermore, if you are drafted into a foreign army (which the IDF is happy to oblige) you do not lose your precious American citizenship. Maybe it’s time to start thinking like a Jew instead of just an American! Like! Furthermore, both of Hadassah’s brothers went straight to the army and IMHO we didn’t turn out that badly The army can be a good introduction into Israeli society, and I definitely got plenty of value out of the 21 years I put in (regular + reserve). Yes it can be dangerous, but we humans live with danger all around us, all the time. How can you be drafted into a foreign army? I thought only citizens can be drafted…??? According to Israeli law, residents can be drafted even if they are not citizens. It’s the same in the US if the draft is activated. Since Israeli law decides who is a resident (not US law), anyone who wants to qualify can be drafted. Plus it’s pretty easy for a Jew to become an Israeli citizen, which then makes him/her eligible to be drafted. The fact is, nobody loses their “precious” foreign citizenship by serving in the Israeli army. Israel is definitely the exception with many US laws. The Israeli army, being one of them. Also look at the US Tax code, there are many places where it says your income is shared with no country besides Israel. Its all over the place, Israel is always the exception. And not just with US law. Jerusalem is the only city in the world I would ever consider living in (not a fan of city life, I prefer suburbs, but in Jerusalem I feel like I am at home). one day.. everything in its right time. your heart will bring you here eventually, probably following your children…. you should be so proud of your boys coming to serve in the army. you will come also be’z in the right time. Your boys are very very young. Making life decisions at 16 and 17 usually ends up being life decisions that need adjustment. My experiences tell me that going off to Israel in a yeshiva or seminary program after high school is a sold choice and a gift- gives them the opportunity to spend time there in a formal but not final way. Heavy decisions can come later; two of mine decided to come home and made aliyah a few years later; one came back to the US- married and plans to stay here; the youngest will go to yeshiva and than probably return home for university. Let them be young! You know, I probably wouldn’t have even considered making aliyah when I was younger. Mainly the consideration was of my parents, who were getting older and I, as an only child, considered that as I decided to move back home to Memphis at the end of 1993 (after living in the Washington, D.C., area and finishing my degree at the University of Maryland). Then in 2001 I got married and we settled in Memphis. My wife and I might think about this from time to time, and we agreed that it wasn’t feasible as long as my parents were living. When my mother had her stroke in 2005, our lives changed. Needless to say, relocation anywhere (even if the conditions were different) wasn’t even a consideration. When Mother passed away last March, my father had by then began to show symptoms of dementia and there were various other issues (that I won’t go into here), but we concentrated on taking care of him until he died in September. With my parents gone and hers having passed away years before, and a change in my employment circumstances, my wife and I now talked a little more about whether to stay in Memphis. Aliyah had come up (a friend of my wife’s had made aliyah and lives in Beit Shemesh, and she talks to her occasionally), and we both thought that it was not as far-fetched a possibility as before. But, even though it is an ideal, there are practical considerations. We realized that there were a lot of changes that would be made if we actually made the move. On the other hand, we completely agree with the motivations to make aliyah (even though many people would think we would be crazy) and would not be totally opposed to it. In the end, of course, we are here in Boca after consideration regarding my work situation, and although south Florida and aliyah are really not comparable, it did entail a lot of preparation to pull up stakes and prepare for a relocation that has challenges of its own. Now, I would like to throw out a new conversation. 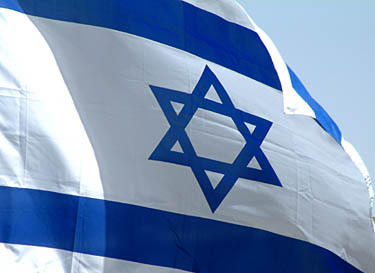 There are so many people that we know that have not been to Israel (I have been twice and my wife has been once). The people we talk with cite the “situation” as a reason not to go. And some of these are religious Jews! I know that there are some considerations personal to the individual, but I certainly did not let the fact that it may not seem as “safe” as other places in the world prevent me from going. In fact, I want to visit again, having last gone in 1996, but due to my wife’s health and other factors, we haven’t been able to make definite plans to go. But I still want to go at least one time with my wife, and G-d willing, we will someday. So I would like to throw this out: Have you had this conversation with fellow Jews who haven’t been to Israel and have no plans to go? And what do they say to you when you ask why? I would never want to move to Israel… but I sure do wish I could visit more! Supporting your kids’ dreams of aliyah is the best way to prepare for yours. Think of the money you’re to save in university tuition. You’ll spend it on airfare visiting or on a downpayment for a home here. In the meantime, visit as often as you can. And if the boys want a Shabbat in Shiloh, you know how to reach me. Ah, but you are thinking about this all wrong! You absolutely made all the right choices … you have three precious children and a KOD to boot!! Everything happens at its time. A Jew defending his people and his nation. Is there anything a Jewish mother could be more proud of?? My two oldest daughters made aliyah. The younger one is about to complete her army service and go to the Technion. The older one has graduated college and is working in Tel Aviv (where there is religious life, contrary to rumor). My daughter still thinks the Army is a good way to integrate into Israeli society. You can get a better position in the Army if your Hebrew is fluent. If your son’s isn’t and he wants to stay and serve, you might consider a yeshiva or other gap year program geared towards Israelis rather than Anglos so he will be immersed in it.